Health Care is a Human Right Bumper Sticker – Healthcare-NOW! 2+ stickers for $3.15/each : 55% off! 20+ stickers for $2.28/each : 65% off! 50+ stickers for $1.75/each : 75% off! Discount will be applied at check-out. 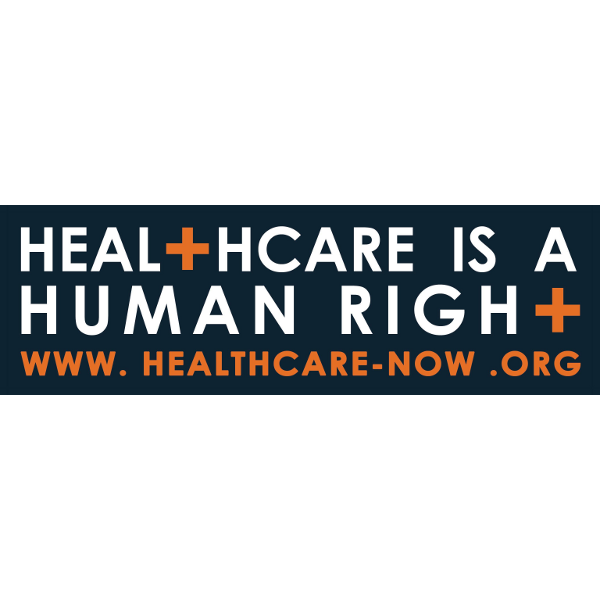 Beautifully designed “Health Care is a Human Right” bumper sticker with web-site to help grow the movement with every trip you take! Navy blue and orange. Designed by Josh Starcher.